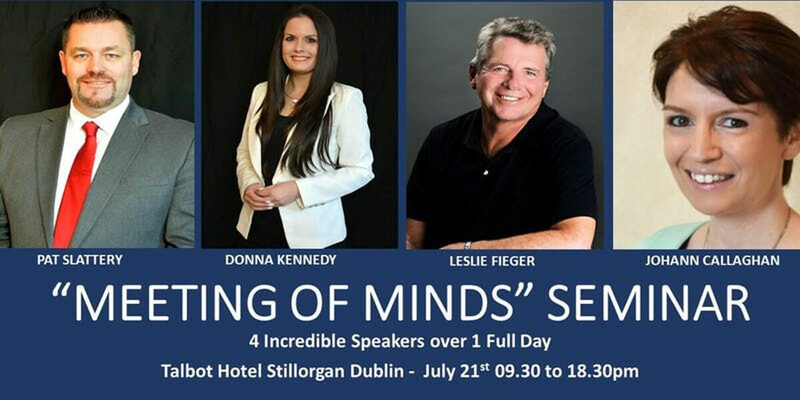 Meeting of Minds seminar is bringing you four world class speakers that will show you the power of positive thinking and positive action. At this seminar you will discover how to really use your mind to serve you and you will be given a full day of incredible content that you will be able to leave and apply to your life immediately to create real change and outcomes that you truly desire. If you are like most people, you have set personal goals over the course of your life. Some of them were big, some of them were small, but every single one of them were important. You thought endlessly about the big ones, dreamed about them at night in bed, and perhaps you made the first step of writing them down. But then what? You got distracted, didn't start, or gave a half-hearted effort and failed. The reason you are not seeing the results you dream of is not because you don't want it bad enough. It's certainly not because you don't deserve it. It's because your current approach is not working. It's not your fault. After all, you've probably never been taught how goal setting really works. By knowing precisely what you want to achieve, you will know where you have to concentrate your efforts. Pat Slattery is no ordinary speaker or coach, leaving school at 14yrs old he began working in the hotel industry, at 15 years old Pat began working in the security industry, by having an incredibly positive attitude and outstanding work ethic along with his determination to give 100% to everything he does, Pat went on to build his security business to a point where it turned over €25,000,000, he has successfully brought other companies to the level where they have generated millions of euro. Leslie Fieger is a successful entrepreneur whose businesses have produced over $100 million in sales. Additionally, people he has worked with and coached have gone on to create millions of dollars in new wealth for themselves. Donna Kennedy is a three-time bestselling author, with The Confidence to Succeed being her most recent release. She is a qualified psychologist, life coach, business coach and mentor. Johann Callaghan is an Author, Speaker, Educator, Health Coach and Mum. She is the Organiser of the Empowering Mind Body & Soul Expo and winner of the Micro Biz Awards 2016.